Available at the Shelter for $12.00 with all proceeds going to support the needs of the animals. 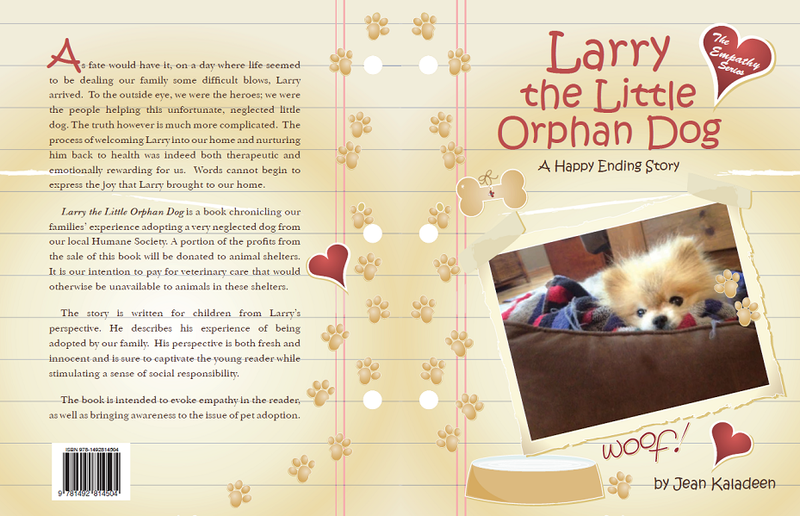 A neglected puppy finds a home in this picture book based on a true story. deep-seated aversions to tiny dogs who will find this book unappealing; however, the remaining 99 percent of the world’s population will take one look at the picture of Larry in his pajamas and find that it alone is well worth the price of admission. The rest of the book is worthwhile, too, simply but effectively narrated in Larry’s voice and supporting a mission—animal rescue and adoption—few can fault. Kaladeen explains that this book, her first, was written in part to raise money for animal shelters, specifically “to pay for veterinary care that would otherwise be unavailable,” so readers can be assured that there is action behind the friendly words and cute pictures. Adoption isn’t for all families, she hastens to explain, especially when it comes to high-needs pets like Larry. 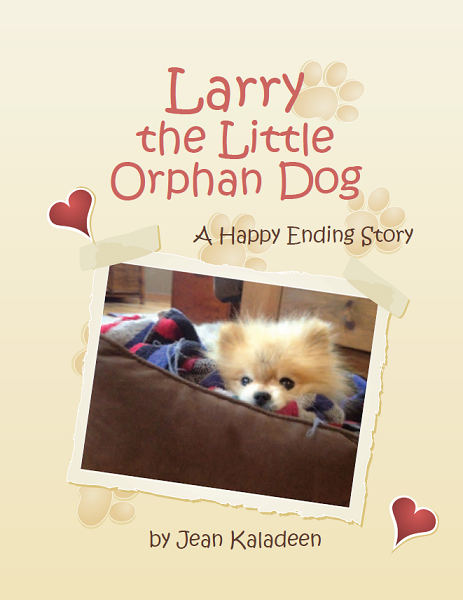 Still, “most rescue animals just need love and a home,” both of which, by the end of the book, Larry has found. Cleverly designed and effectively told, this dog adoption story will be a welcome addition to school and child care libraries and for families who have undergone or are considering adopting a rescue animal.